W e held the last of our three Gin & Flowers crowdfunding reward events a week last Saturday. The weather was kind; our yurt and orchard made an atmospheric setting for progressively liberal measures and increasingly relaxed guests. G&T recommendations were swapped, buckets of gorgeous autumnal blooms were cut and new friends were made. 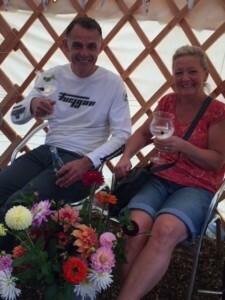 Crucial to the success of our Gin & Flowers reward events this summer was the incredible generosity not only of our crowdfunding supporters but also of the gin distillers and drinks businesses who so kindly donated the liquid refreshments, and Yate Supplies who donated our beautiful gin glasses. We wanted to use this blog to acknowledge and thank them. Our lovely selection of tonics was contributed by Fever-tree and by Folkington’s. Perennial G&T favourite Fever-tree provided four varieties of their tonic – plain, light, elderflower and Mediterranean – which perfectly complemented our gins. 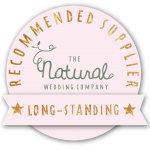 Folkington’s demonstrated not only their generosity but also their responsiveness and logistical agility by sending, at short notice, three crates of their absolutely delicious English Garden Tonic. It was the first time most of our guests had tried this cucumber, rosemary and mint-infused tonic and it went down a storm. 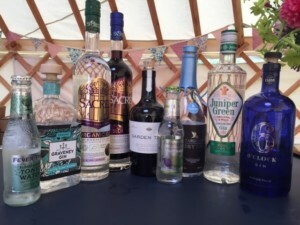 Four of the gins that were donated were organic: Juniper Green, which was the world’s first organic London dry gin; Sacred Gin and Sacred Sloe Gin from Sacred Spirits who are based above the Star pub close to Highgate cemetery; and Graveney Gin from Tooting, of which only 30 bottles are distilled in each batch. Three further very special gins were given by local and small batch distillers. Garden Swift is a truly unique gin from the tiny Capreolus distillery in the heart of the Cotswolds and our guests loved its distinctive taste. Tarquin’s Cornish Gin, in its iconic wax-sealed bottles, is distilled with passion on the Cornish coast and added a tinge of nostalgia for wild seaside days and the summer just ended. 6 O’Clock Gin is from Bramley & Gage, our most local distiller just down the road in Thornbury. This coming Saturday – 29 September – we’re throwing our gates open for our annual open day from 10 until 1, timed not only to celebrate the end of our season and the last of this year’s flowers, but also Organic September, organised by the Soil Association. In spite of their strap line this year (Food As It Should Be), for organic growers and producers Organic September is about so much more than food – it’s also about raising awareness of the production of, and what goes into, health and beauty products, clothing & footwear, homewares & furnishings, household products and luxury goods, and their environmental and social impact. 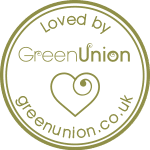 For us, that means encouraging people to think about where their cut flowers – a luxury product – come from and how they are grown, transported & preserved, and highlighting the benefits of organic, seasonal, British-grown flowers. Come along on Saturday to find out more and to see what we do – we’ll have tea and cake, music from band the Swinging Nettles and stalls from lovely makers and producers including beeswax products from Hives & Herbals; beautiful pottery from Wendy Calder Ceramics; the Clevedon Bag Company; Soil Association-certified skincare products from Happy Holistics; and gorgeous breads and pastries plus kneading demos from the Little Frampton Bakery. You can join Jo for a tour and we’ll be selling our flowers and plants.  If you can’t make our open day but you want to do something for Organic September, you could try organic alternatives to replace some of your regular non-organic purchases. Flowers aside, given our new-found expertise our suggestion has to be gin! Juniper Green, Sacred and Graveney make a delicious place to start but there are plenty of organic British gins out there. If you come across any gems, do let us know!